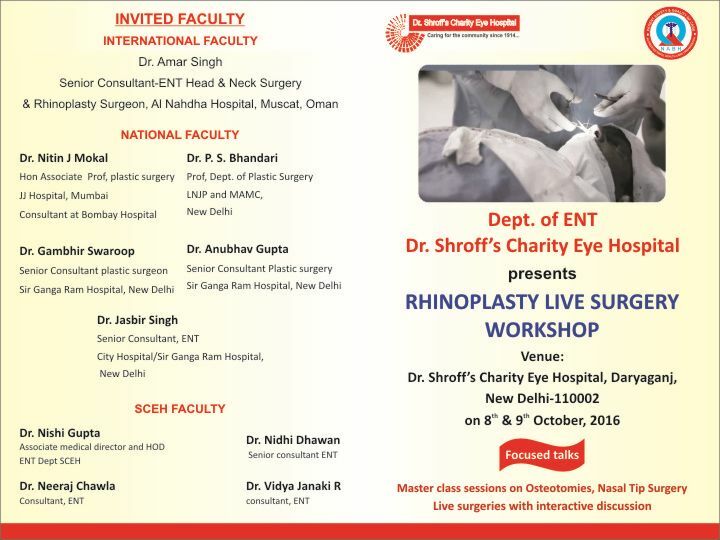 We are pleased to announce the upcoming event Rhinoplasty Live Surgery Workshop on 8th & 9th October 2016 at Dr Shroff's Charity Eye Hospital. 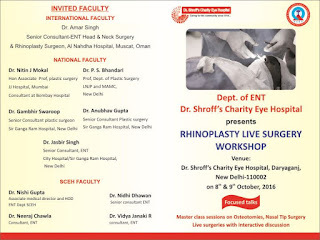 Acclaimed International and national faculty are part of the workshop with a nominal registration fee of Rs 2500. Please find attached the details of the program. 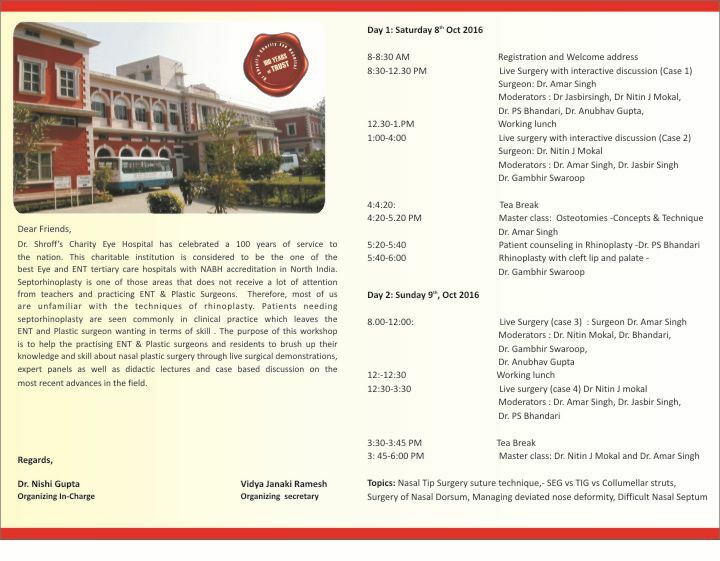 Please contact Dr Vidya (rvidyajanaki@gmail.com)/Mr Tarun (tarun.sharma@sceh.net) for further queries and registration details.